What is this celebration of Easter about? May we never be too old or too experienced to ask this simple question. The saints of yesterday and today, like little children, want to hear the story again and anew. 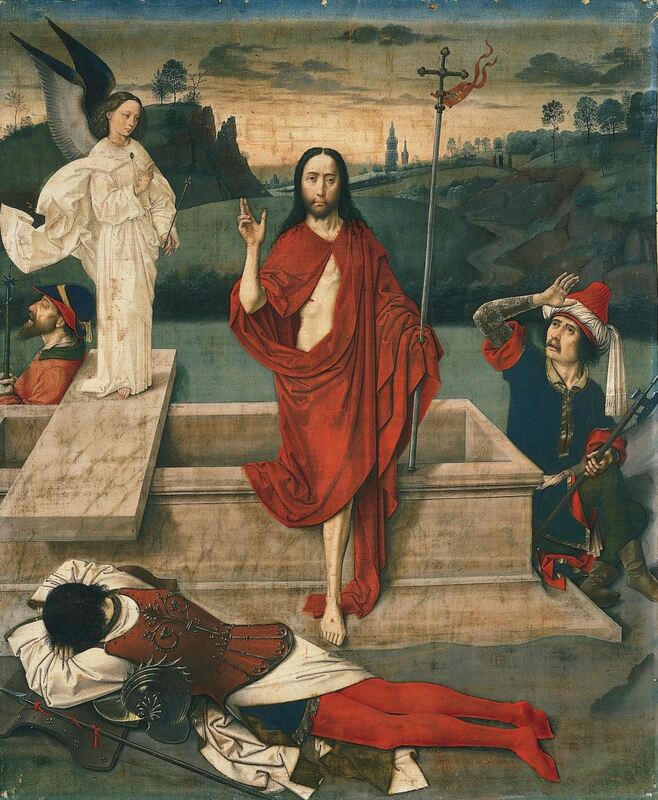 Blessed John Henry Newman devoted a few short meditations to the resurrection of our Lord. In “The Temples of the Holy Ghost,” he addresses the humility of God and the uplifting of man, each wrapped up in human flesh. Blessed Newman begins by invoking the Eternal Word who condescended to take a created nature and a human body. “Infinite incomprehensible Spirit” united Himself to creation. Our minds cannot grasp the humility of God. We marvel at His power too, for Newman says only God’s infinite power could keep him from losing his power in lowering Himself to the station of a creature. Speaking to Christ, Newman says, ”Thy Body has part in Thy power, rather than Thou hast part in its weakness.” Therefore, Christ’s body never was and never could be separated from Him, for He made it His own and He cannot see corruption. In rising from the dead, Christ opened the door to all men. In Him we have the promise of our resurrection; though our bodies die, they will rise with Him. What honor is given to the body! Newman says the heathen, who did not know Christ, would be shocked by this doctrine. They thought the body was of a “miserable and contemptible nature—they thought it the seat, the cause, the excuse of all moral evil. When their thoughts soared highest, and they thought of a future life, they considered that the destruction of the body was the condition of that higher existence. That the body was really part of themselves and that its restoration could be a privilege, was beyond their utmost imagination.” Newman says we should not be surprised when wise men of the world “scoffed at the resurrection.” Only God in His wisdom could have ordained this glorious end for man. The meaning of Easter cannot be contained in a meditation. But here we have a glimpse of what Christ’s resurrection means for us. We are the temples of the Holy Ghost, and God intends to raise our mortal bodies from the dead. He intends to live in us. At this wonderful truth, only complete surrender to Him seems right.